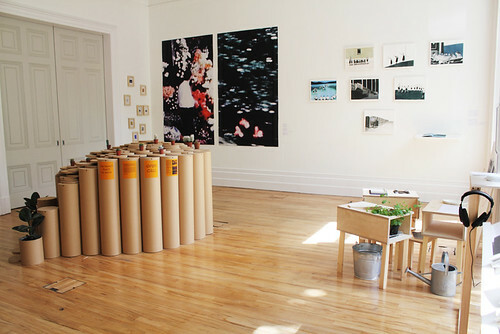 Established graphic designers struggle with the ‘white cube’ of a gallery space. How can emerging designers explain their work in the crowded environs of a graduate show? 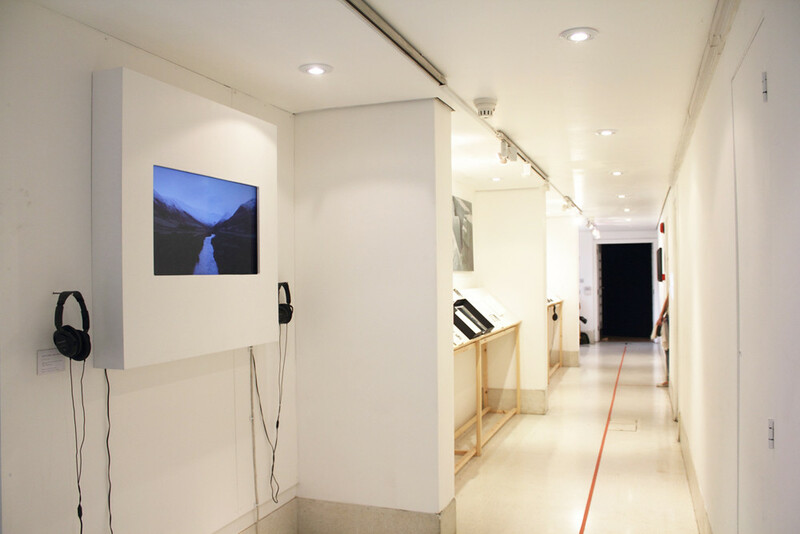 Each year, graduating students of the Visual Communication course at the Royal College of Art are faced with the problem of their final graduate show, writes Jessica Morgan. 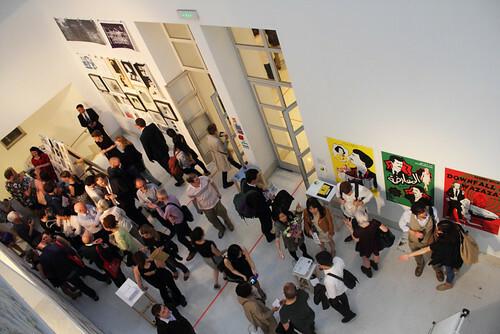 Graphic design is notoriously tricky to exhibit in a ‘white cube’ gallery environment. Witnessing the exhibition from this year confirmed my view that many designers are not comfortable in this setting. Design is made to fit a purpose, to fulfil a specific brief with a defined context and audience. When simply plucked from that intended context and flung into a series of gallery space the results can be awkward, flat and uninspiring. As a result, some highly capable designers – who may possess finely honed technical and conceptual skills – can lose confidence, some of the criteria that quantifies their work are rendered irrelevant. Top and right: ‘white cube’ installations at ‘Show RCA 2013’. 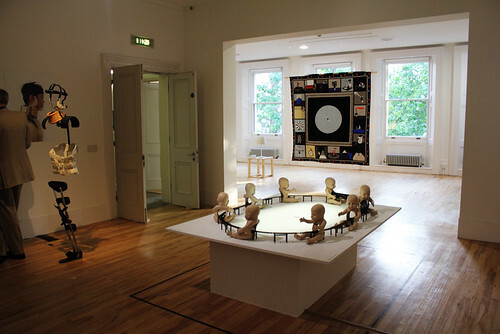 Royal College of Art, London. A poster for a past event is reduced to a piece of visual art; a book designed around a niche subject is seen as an unintelligible object. One obstacle to the success of a graphic design show is its impossibly varied audience – from the mystical ‘industry people’ wielding wands of potential employment; to the friends and relatives with little idea of what their nearest and dearest do all day. 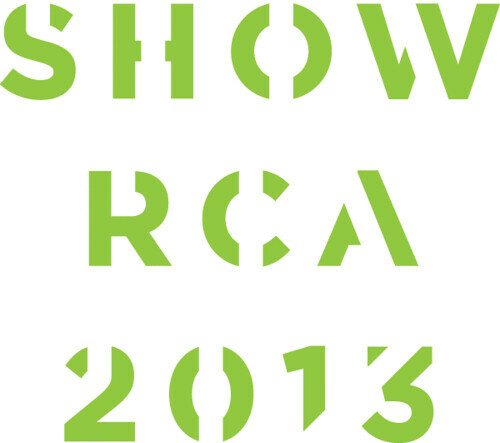 Opening night of ‘Show RCA 2013’, Royal College of Art. Difficulty lies also in the amount of time typically spent with each project. Student numbers have grown so much that typical degree shows have become tests of endurance, for which only instantly engaging projects earn more than a cursory glance. Urban Picnic installation (floor) by Ju Yeun Kim. To combat this problem, designers often place emphasis on simple, straightforward ideas, which are better suited to a less informed audience. Some students have even found innovative methods to make more arcane areas such as type design exciting to non-design-savvy people. 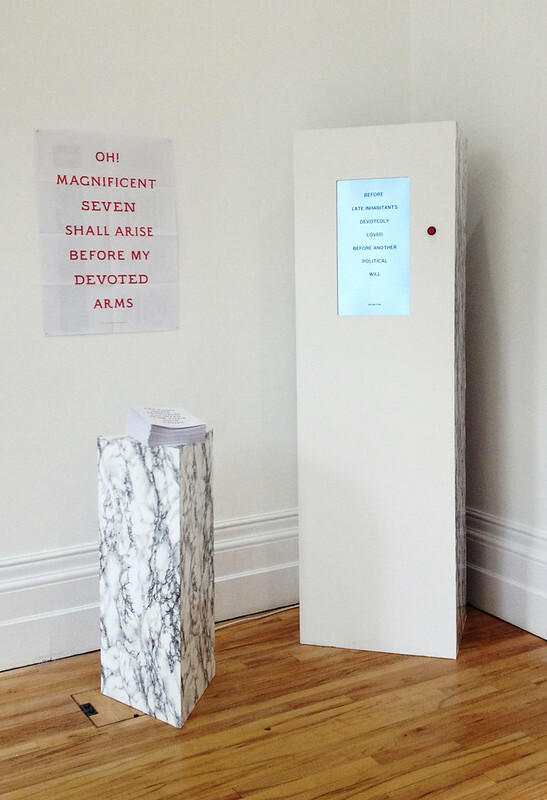 For example, Moa Pårup’s graduate project is a series of typefaces based on gravestone lettering, yet her space in the show features little more than a screen and a button. Each push of the button generates a unique sentence based on the gravestone epitaphs the typefaces were inspired by, visualised in the new typefaces themselves. Moa Pårup’s The Magnificent Seven. 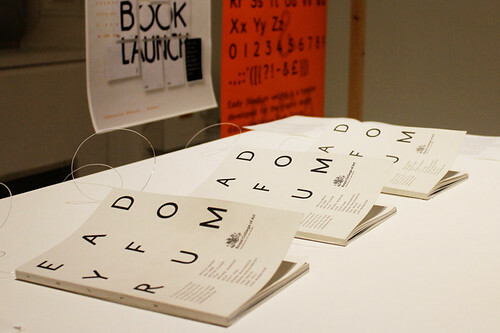 This simple set-up not only showcases the typefaces in active use, but also offers a layered experience where the viewer can, depending on their knowledge, engage on a purely superficial level and simply enjoy the interactivity and novelty of the exercise, or if more typographically inclined, admire the craftsmanship of the letterforms. Eady Forum by Jack Llewellyn, 2013. The riddle of the final show may never be solved as long as environment and content remain so inherently at odds with one another. My advice to designers is not to panic and resort to something flashy and large scale in order to ‘fill the space’, but to think about the concept behind the work and the way to develop it into a compelling and unique experience. Show 2013 took place between 20 and 30 June 2013.